INDIANAPOLIS (Wednesday, June 22, 2016/National FFA Organization) –As the agricultural community becomes increasingly global, it is crucial that young people considering careers in the industry understand the opportunities and challenges of international trade. A group of 50 National FFA award winners toured agricultural sites in Costa Rica this summer and compared the industries in Central America and the United States. Following an orientation session in Atlanta on June 9, the group departed for a 10-day tour. Costa Rica is an ideal agricultural tour site as it includes some of the most diverse agriculture and geography in the world. Yet, the country is small enough that the contingent selected for the National FFA Organization’s 2016 Costa Rica Proficiency and Stars Travel Seminar immersed themselves into a complete agriculture experience. 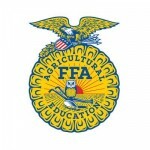 Seminar participants were selected from national agricultural proficiency award finalists and American Star Farmer and Star in Agribusiness finalists named last October at the 88th National FFA Convention in Louisville, Ky. The seminar, in addition to cash awards and plaques, are made possible by business and industry contributions to the National FFA Foundation. Through June 18, the group visited Dole’s Costa Rican banana farm, several of the country’s large and small production farms, a Starbucks coffee plantation, and rainforests. They also took in plenty of sights during their trip. FFA members toured the Costa Rican capital of San Jose, one of the country’s national parks and a host of popular tourist destinations. During the seminar, students had an opportunity to truly experience global agriculture and the culture of Costa Rica. The international seminar is an educational study seminar designed to introduce the award participants to agriculture as it is practiced in other countries.